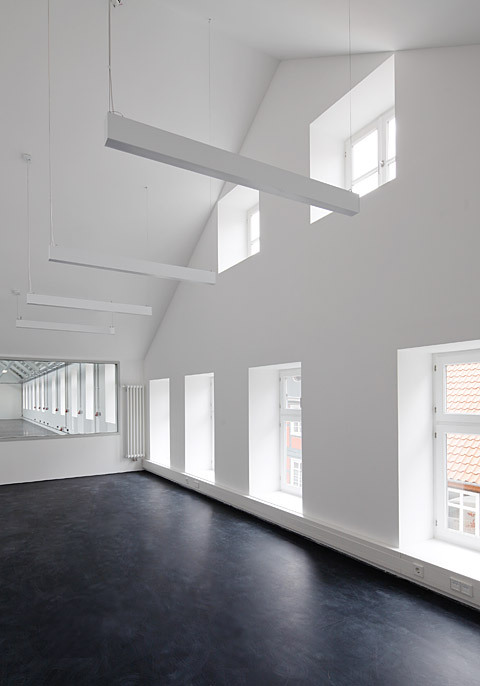 Based in Lower Saxony and renowned world-wide, textiles editeur Nya Nordiska opened its new building designed by Staab Architekten in early September, setting new standards for industrial architecture in an urban setting. 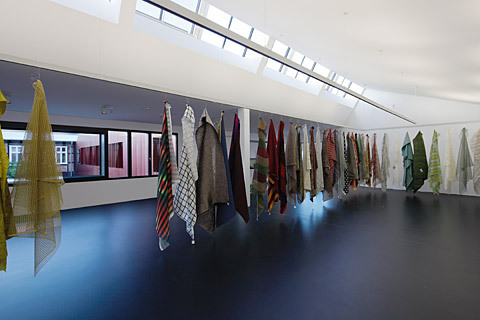 Nya Nordiska needed new commercial and office premises at its headquarters in Dannenberg if only because its export business has grown, as has it collection of fabrics, and it has expanded to include the "Nya Artline Decoration Systems". In total, six million euros were invested in the project, and 15 new jobs created, a strong symbol in difficult economic times. 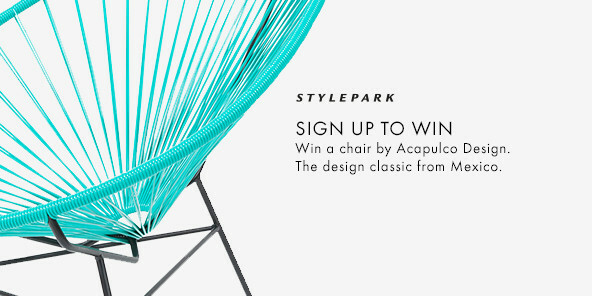 Berlin-based Staab Architekten, which to date have mainly caught the eye with their museum buildings in Dresden and Nuremberg, for example, won the architecture competition held in 2008. 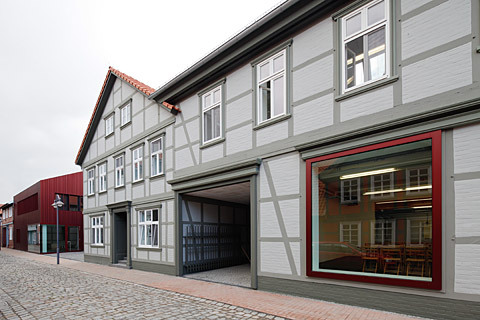 Back then, Jury Chairperson Hilde Léon explained the decision, saying, " the design submitted by Staab Architekten superbly understands how to embed the complex of company buildings into the fabric of the old town." Anyone approaching the building today from different directions will confirm what she says. Especially the facades looking out over downtown attest to a symbiosis of carefully nurturing the existing feel, as a half-timbered façade proves, and using new elements - the industrial architecture morphs on the main street side into a modern townhouse that is home to an outlet store. 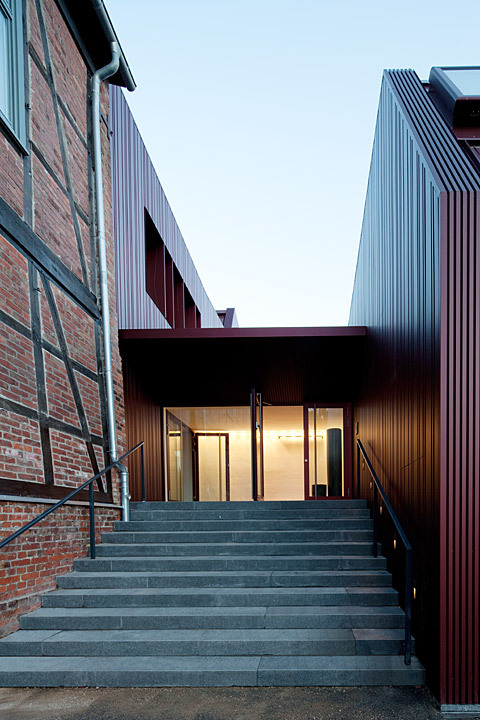 Staab are simply highly successful in wedding the shed-roof industrial architecture with the urban context, of reconciling old and new, and giving the city a new architectural face. There are few examples where such a bridge has been built. 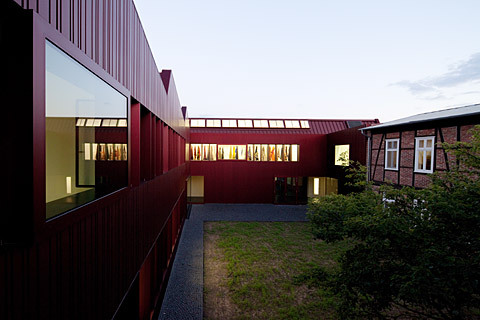 The clear and multi-faceted façade of reddish eloxy and profiled aluminum is a real eye-catcher while meeting functional requirements and adhering to a tight budget. Staab delivered not inconsiderable added value by staying in budget on the project. The new building is 4,000 sq. 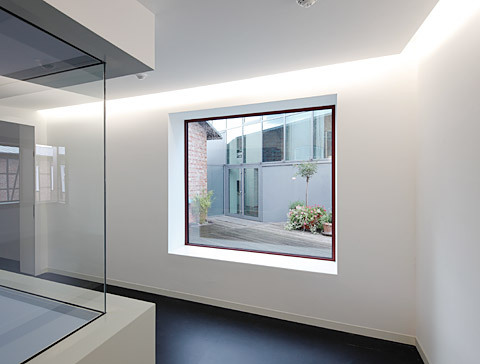 m. in size, grouped around the existing old building to engender exciting views and visual links throughout. Inside, the different functional units, such as the office, seminar and display rooms as well as the manufacturing and warehousing halls and not least the studio used by the Nya Nordiska design team are all skillfully united. Much daylight, idiosyncratically shaped windows and asymmetrical ceilings create a diverse and stimulating atmosphere from which not least the staff will no doubt benefit. 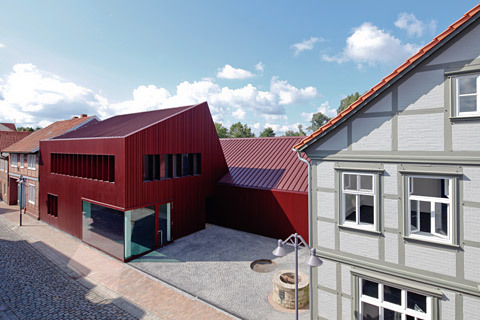 All in all, the extension building designed by Staab Architekten follows the textile editeur's creative red thread: to weave the weft of the traditional and tried-and-true with the warp of contemporary life.